Hey everyone! I’m sorry I was quiet on here last month. Due to illness, work and some technical difficulties, I wasn’t able to do much posting. But I wanted to share for National Poetry Month the chapbook I made for the DIY chapbook challenge. For my, chapbook, Lucy’s Bone Scrolls: The AF Mystery School, I wrote several poems inspired by the New School Afrofuturism conference last year. I used parchment paper and chenille sticks/pipe cleaners to create the book because I wanted to give it a kind of scrapbook kind of look. Check out some photos of the project below and I will be showcasing it live at the Women Writers in Bloom Five-Year anniversary event this month. If you are in NYC and want to come, I welcome you to do so; the wonderful poet Mariahadessa Ekere Talle will be the feature! Sometime in the near future, I will publish the chapbook as an e-book, so stay tuned for that! Also, as I promised last month, I will premiere my Space:Queens segment next week! This the cover picture. 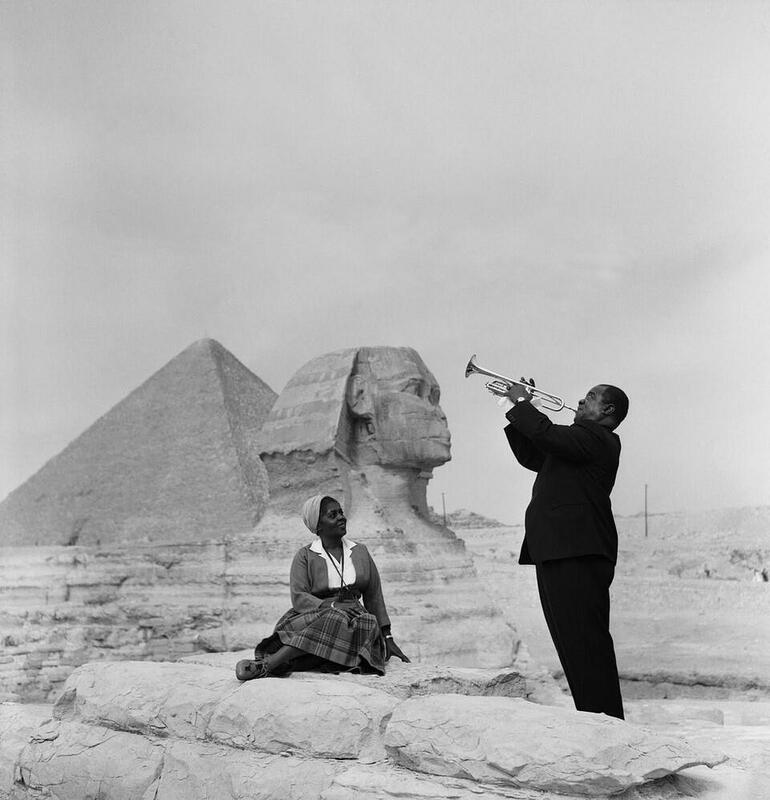 It is a cropped version of the 1961 Louis and Lucille Armstrong in Egypt picture. The image of Lucille sitting under the sphinx and next to the pyramid was striking to me and I felt it fit well with the theme of my chapbook.